Our licensed and highly qualified manufacturing and installation team takes on all jobs, no matter their size. All of our countertops are installed by our own employees, which means we take care of the whole process from the laser template to the fabrication and installation. Choose from a large variety of granite, Cambria quartz, Solid Surface, EnGRAIN wood and Vetrazzo glass. We have the largest selection in Wichita. 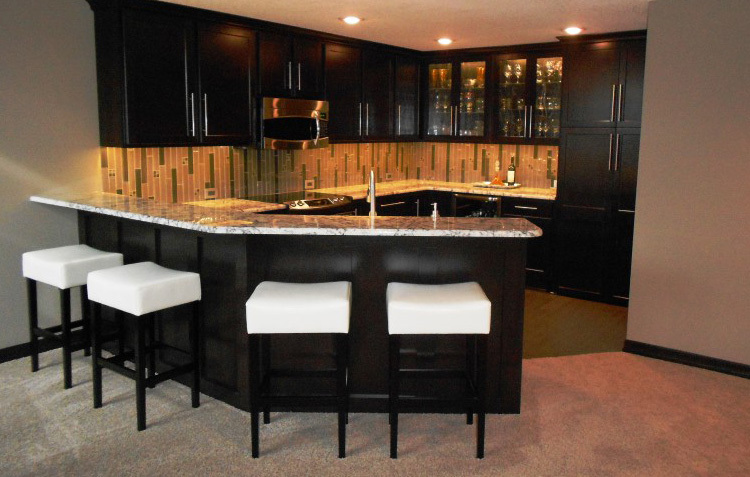 We provide different styles of countertops for different looks, benefits, and features. Solid surface gives a great look, it’s easy to clean, and it’s nonporous. Cambria quartz may be the best choice for some when considering stone surfaces. Cambria is nonporous, which reduces the potential for bacterial growth and staining. It’s also been certified for both food and splash zones, so you don’t need to worry about ruining it. Cambria is virtually maintenance free, stronger than granite, and it produces slabs that resemble granite, so you can get the same great look without the hassle. Cambria quartz is mined in the USA, so when you purchase through us, you know you’re getting a locally-sourced product. Below are some links that will help you learn more about your options. Please contact us if you have any questions; we’re happy to help!